Hairspray: It’s a word that conjures up so many images—most of them outdated. 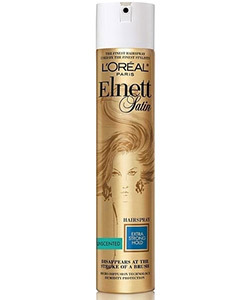 Consider gravity-defying styles like the beehive, pompadour, über-teased bangs, and big 80's hair; all impossible without this sticky aerosol fixative. Hairsprays of the past did the job of holding hair in its place—perhaps too well—making these spritzes synonymous with helmet head, hard-to-wash-out lacquers, a crunchy, gummy texture and alcohol-based formulas. But those days are over. There are so many tricks today’s hairsprays can do—from hold to height and humidity protection—that this ‘80s staple is back in rotation. A mix of argan oil and coconut extract to nourish strands while forming a barrier against humidity (they claim it reduces frizz by 87 percent). This fine mist dries instantly delivering light hold. This European stylist favorite made landfall on our shores four short years ago and quickly found a new legion of devotee for its residue-free lasting hold that remained soft to the touch. 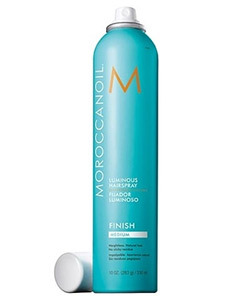 Formulated without water to protect hair color, this non-dulling, fast-drying spritz gives medium, flexible hold without any flaking. Use it as a styling or finishing product. Some styles (beachy waves) require movement, while others (an up-do) need to be shellacked in place. Save money and counter space with a multi-taker that lets you dial up or dial down the intensity. Three strength settings (soft, medium and strong) render flexible hold. 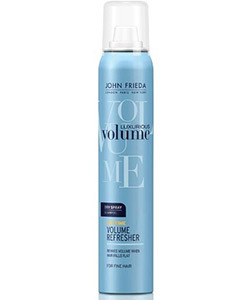 For those times you need to keep every single hair in place, get lasting lift and eight hours of humidity protection thanks to this hair spray’s vitamin E and antioxidant-infused Spray-Strong Complex. Add life to limp locks by targeting the roots for fullness, lift and hold. 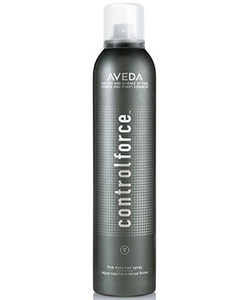 This formula stands up to humidity, static and UV rays—sans stickiness. Ideal for fine hair. 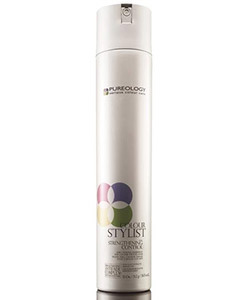 Lock in sassy styles with a hair spray that adds luminosity without buildup. Argan oil leaves hair weightless, manageable, and touchable. Recreate a day at the beach with a texturizing spray for a tousled, sea air texture. 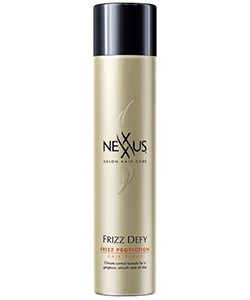 Mist on wet hair and air-dry or diffuse for big waves and definition that lasts. Love the performance of hairspray but feeling guilty about aerosol’s effects on the environment? Find all-day flexible hold in a fast-drying, flake resistant formula that’s offset by renewable energy funding for a net-zero impact on the earth’s climate. Inject some oomph into slept-on styles, blot out oils and add texture with this dry shampoo and volumizing hairspray hybrid. 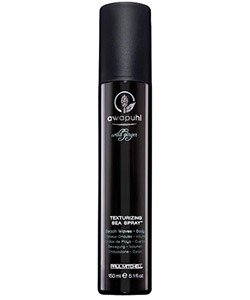 Type 2 Wavies like their hold flexible and their waves touchable, which is why DevaCurl Flexible-Hold Hairspray won the Editor's Choice award for best finishing product for Type 2 waves. If you don't typically use hairspray, you can rest assured that you'll avoid the usual pitfalls with this one. 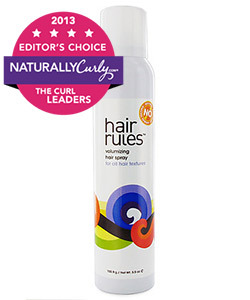 Type 3 Curlies look no further than Hair Rules Volumizing Hair Spray. 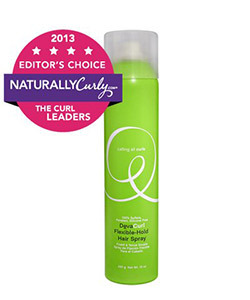 It won the Editor's Choice award for best finishing product for Type 3 curls because of its strong hold without any of the stickiness. 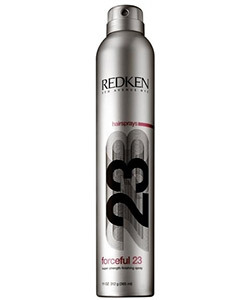 “The difference in hairsprays today is that while they may contain some of the same styling polymers, the technology has changed to deliver hold with a soft, smooth finish while preventing frizz,” says Rodney Cutler, a stylist, salon owner and Redken Brand Ambassador. In fact, many women use hairsprays solely for their humidity-repelling powers.